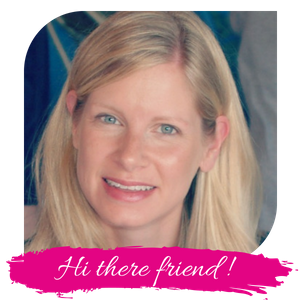 Recently, I read a blog post from a mom who decided that it was a waste of time and effort to have her child write thank-you notes. Every time she asked her child to write the notes, her child would fight it. The child didn’t want to do it. They would stall and complain and be miserable over it. She decided that since this child wasn’t really showing any true gratitude anyways, why bother? She gave up. The blog post left me wondering. It made me think about children when they are two-years old. I’m sure we’ve all experienced this: we ask our 2-year-old to do something but they don’t want to do it. They refuse. So, what do we do next? Do we continue to prompt them to do what we asked? Or do we forget about it since “they don’t really feel like it”? And what happens to our kids if we continually allow them to NOT do something when they don’t feel like it? Is that teaching them what we want to teach them? Whatever we teach our children today will follow them throughout their lives. So, if we show them the importance and value in expressing gratitude towards others and then give them the necessary practice, they are going to naturally be more likely to show appreciation later in life. Some might argue that we cannot guarantee genuine gratitude and appreciation. That is certainly true. We are not lord over their hearts. But we can teach our kids to be polite. And we can teach them this practice of sitting down to reflect on the gifts that have been given to them. Gift opening with kids can get hectic. And our children might not initially remember who gave them each gift. But once they sit down and write thank you notes they have to think back through who gave them what. As they sit and remember it puts things into perspective as they attach the gift to the gift-giver. My own kids get really excited as they think back to their gift opening. 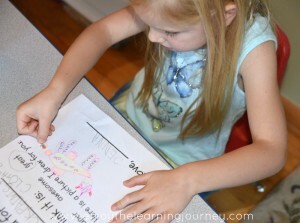 For additional thoughts, you can check out the post 5 Reasons to Teach Your Kids How to Write Thank-You Notes. 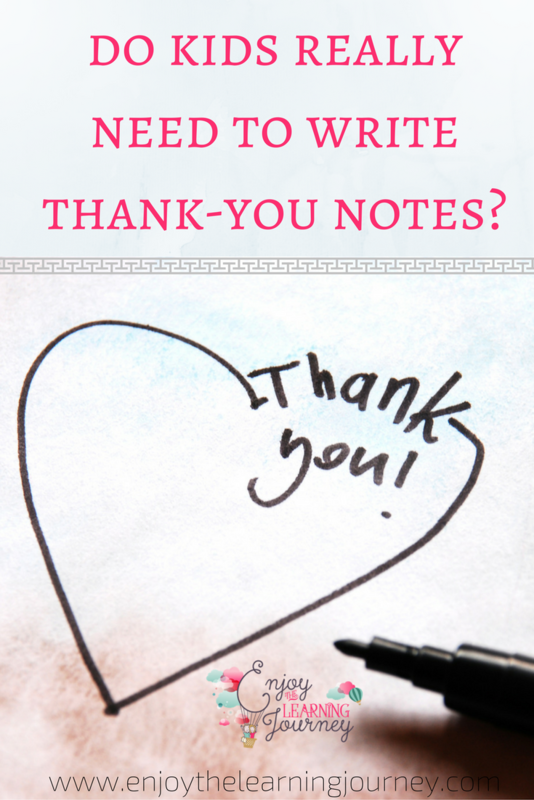 I have personally found this practice of writing thank-you notes to be incredibly valuable. I remember way back to when I was writing thank-you notes after our wedding and feeling so emotional about the kindness and generosity of our loved ones. My heart was completely filled with gratitude for all that we had been given. Yes, it was a lot of work writing all those notes and I certainly didn’t enjoy every minute of it. But if instead of sitting down to write thank-you notes, I had just continued on with life, I would have missed out on those moments of reflection. Because of this experience and others, I have found value in teaching my kids to take the time to write notes of thanks. But we each need to decide that for ourselves and our own families. 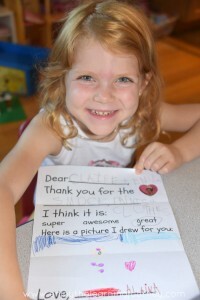 If you decide to teach your kids to write thank-you notes, this is where it gets hard. I won’t sugarcoat it. It takes a lot of time and effort on our part to help our kids with their thank-you notes, especially when they are just beginning to write. I have had to sit with my kids side-by-side to help them. Thankfully, it gets easier once they get older. Once they can write well and are used to doing it, it’s really no problem for them. And in my own experience, they actually like enjoy it. Especially when you give them freedom to use cute cards, fun stickers, colorful markers, or let them create their own. Plus, there are some great options available to make it more manageable for the younger ones. You can print out fill-in-the-blank thank-you notes. You can use the copy method. And for the youngest of children, just have them draw a picture for the person who gave them the gift. If it’s too difficult for them to write the note themselves, then you could scribe for them and make a note on the card indicating that it was their words. Any of these methods can be fairly pain-free and it involves them in the process and gets them used to writing thank-you notes at a very young age. At some point this will become habit for them and will hopefully follow them throughout life. And this act of thinking through what they’ve been given and expressing thanks for it…..this may just be part of the process for developing a heart of gratitude! And if you are in a season of life that is incredibly challenging and you decide that you’d like to have your kids write thank-you notes but cannot even think about managing that process right now, that’s totally ok! This is a guilt-free space and I totally get it. If that’s you right now, then check out my post on 100 ways kids can practice gratitude and compassion. There are lots of ideas and you might find something else more doable for you at this stage. You could even just have your child make a special phone call to the person that gave them a gift. It may hold just as much meaning, and then you can always have your kids start writing thank-you notes the next time it comes up.